Android is a very famous operating system for Smartphone. This operating is developed by Google. Google is one of the largest company in the current time. Android first release on September 23, 2008. The current year is 2019, in this short time (2008-2019) Android became so popular. Now it has more than 2 billion monthly active devices. In this short time Android release many versions and in every version, they released a new feature. Today almost every mobile company use the Android Operating System. I talk about many best budget android phone like ASUS ZenFone Max Pro M2, BLU Pure View, Honor 8X. Now I tell you some amazing facts Android Versions. Google released many Android versions and the amazing fact is every version of Android is taken from the sweets name. Not only these Android Versions have more amazing facts. At first, I tell you all android version names. Pie is the latest Android version. Those are all android versions. In the future, I will try to give you all review about those Android versions. If you see their name you can find that all the name is taken from the sweets name. This is the most amazing fact about the android version. If you look all the version name carefully we can find another amazing fact and that is the alphabetical name. You can see that android all the android version are in alphabetical order. This is another fact of the Android version. Now I serially tell you some amazing facts about Android and Android versions. Android did not create by Google. In 2005, they bought the company. It is created by Andy Rubin, Rich Miner, Nick Sears, and Chris White in October 2003. In the future, I will try to describe this. Many people know about Linux. Android is based on the open source operating system - Linux. Originally Android was created as an operating system for digital cameras. Android controls almost (88% - 90%) of the world smartphone market. Android has more than 2 billion monthly active users. Before official release in 2007, Nokia says, "we don't see this as a threat". The word Android refers to male robots, wither a female robot is called “Gynoid”. Each version of the Google Android operating system has a statue outside its main office. 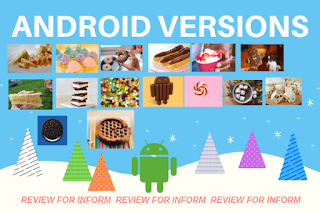 All the Android version name is taken from the sweets or deserts name. The very first Android phone (2008 Android version) had no headphone jack and required an adapter. Google Map calculates traffic by tracking how fast android phone is moving on the road. Since 2011, Android has been the best-selling OS worldwide on smartphones. In Android device, We use the Google Play Store to install apps. In December 2018, the Google Play store features over 2.6 million apps. By the end of 2008, many critics thought Android would fail miserably. 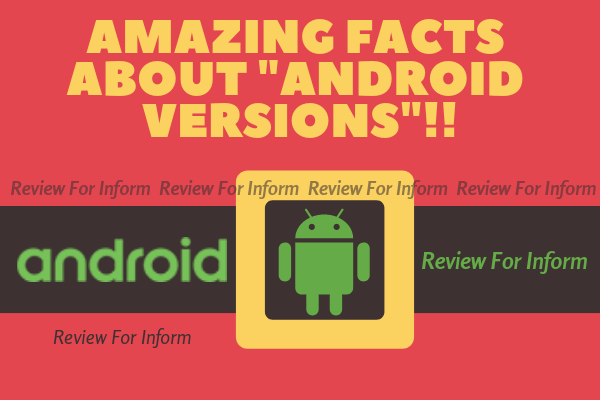 So, these some amazing facts about Android and Android versions. I hope you learn some new thing from this article. If you have learned something from here, please share it with your friends. I try to post regularly. Support to get more post like that. Thanks for reading this post.